Well hello there! 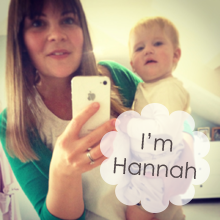 Welcome to my blog if you’re new here and if you’re a regular, welcome back! 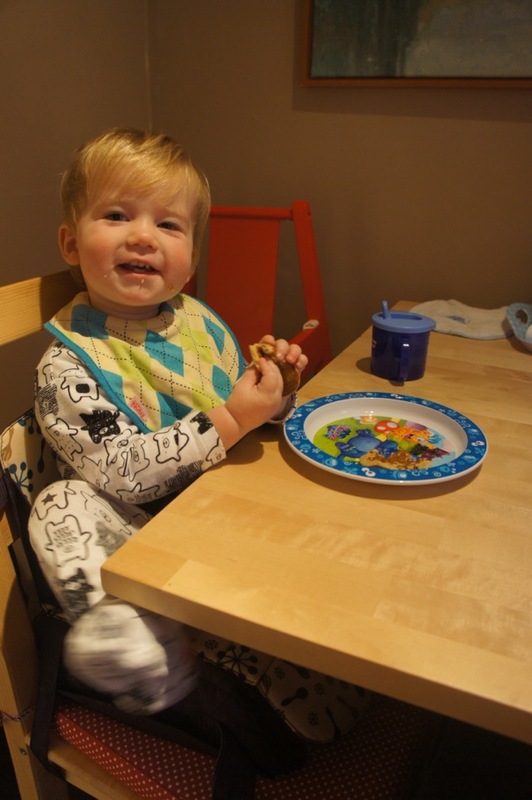 Today I thought I would reblog my Easy Pancake Recipe, which I first published here on the blog back in 2013 when Reuben was a mere year old. It’s been one of my most popular blogs, consistently bringing in traffic every month, so I’ve updated it to include a quick video tutorial, which proves how easy this pancake recipe really is! 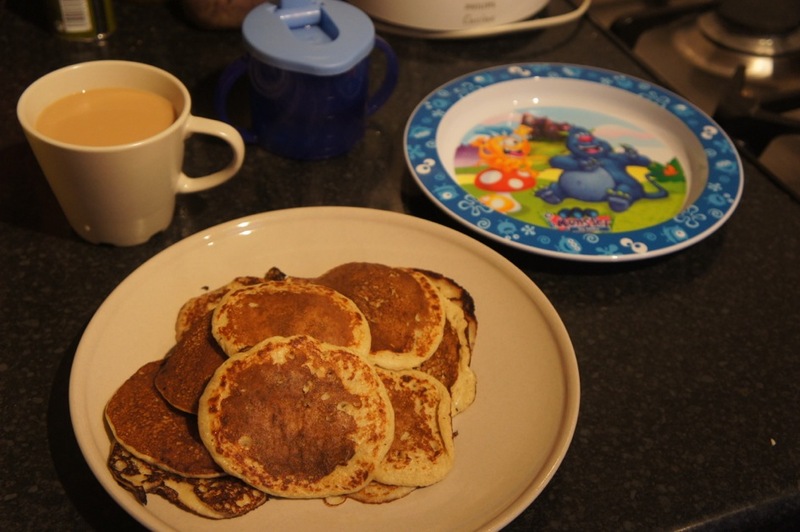 Have a wonderful Pancake Day and scroll down to see the rest of the post, with the recipe and photos! I am by no means a food blogger; I don’t have the patience for all the photos required, my kitchen is never tidy enough and I’m generally not a very good cook. I make some delicious things, don’t get me wrong, but I wouldn’t be able to recreate them – I’m what my dad would call an ad-libber. Every night it’s like an episode of Can’t Cook-Won’t Cook – I have ingredients and shoe-horn them into a nutritious, hopefully delicious meal for Mike and I. 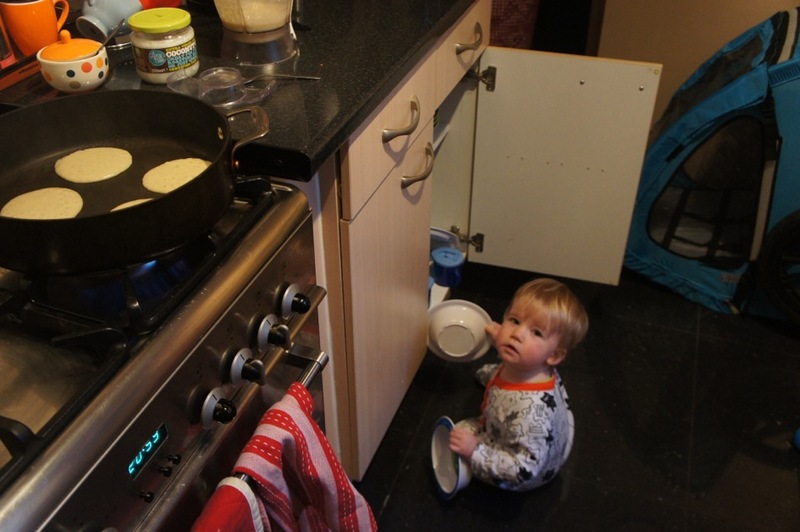 That doesn’t work so well for Reubs so when all else fails, I bring out the easy pancake recipe. For the most part, I can recreate these with similar results every time. *For the cup, I use one of those small IKEA cups, they’re a similar size to a tea cup. But don’t worry too much about getting it exactly right – so long as the amount of oats and milk is the same, they seem to turn out ok! You can always add an extra egg if it’s too runny. 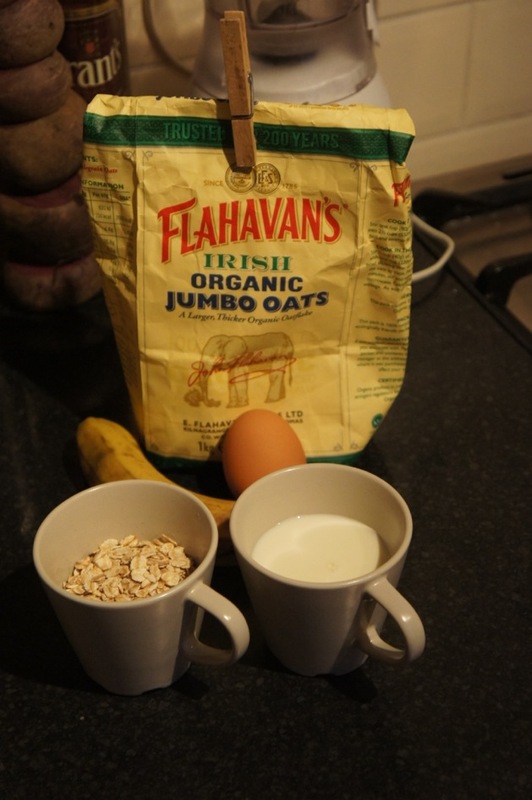 For example, if we are all eating (2 adults, 2 kids), I do a full cup each of oats and milk, 2 eggs and 1 or 2 bananas. Just play around a bit to get the consistency you like. 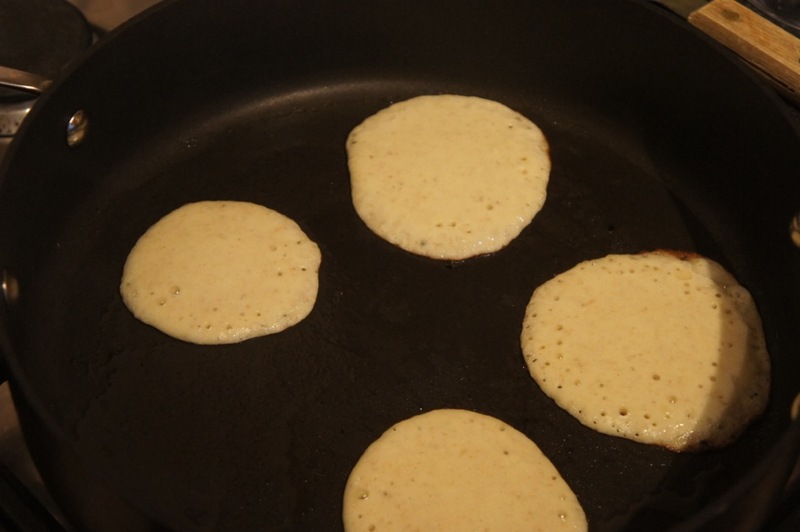 Four ingredients – that’s it for the easy pancake recipe! 1. Whizz the lot in a food processor/liquidizer. Mine is too ugly to show you! You can also use a hand blender but be sure to get it really fine – the last time I used one I found the pancakes still had whole oats in it! 2. Put oil in your good non-stick pan. 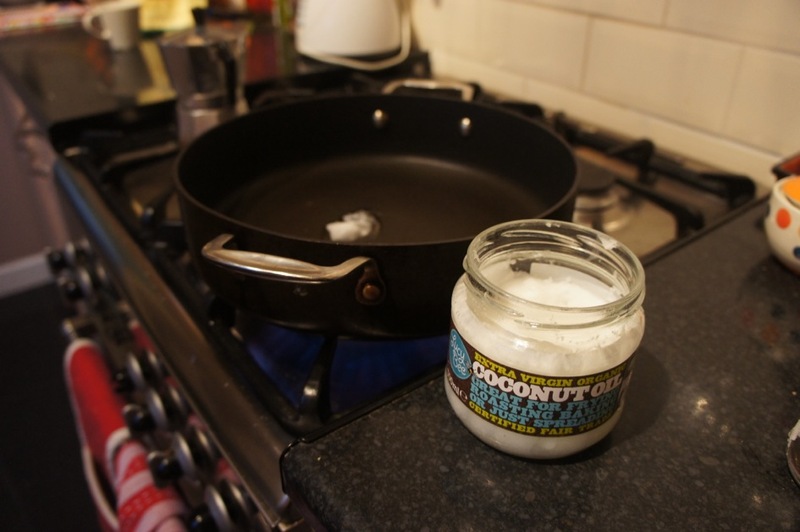 I use 1 tsp of coconut oil and that is enough for the whole batch. You can also use butter or olive oil. 3. Pour in your mixture. 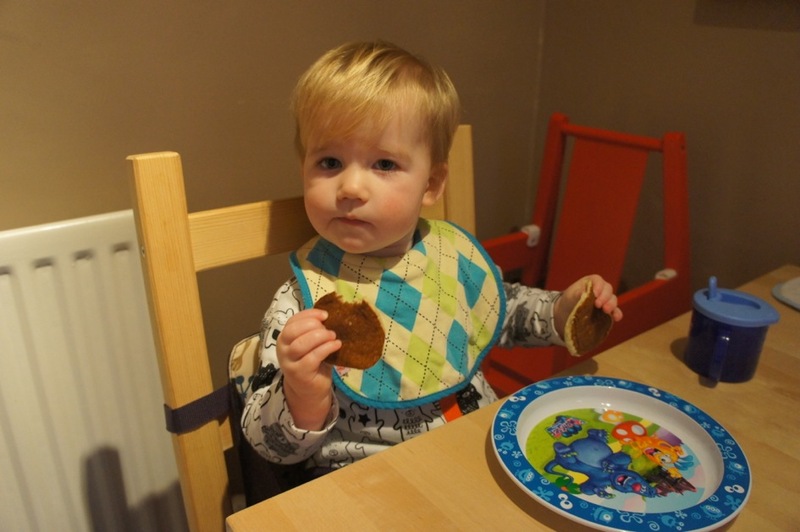 You want little rounds, they are MUCH easier to turn over and they are then also a handy bite size for your bambino. I can get 5 in my pan but not when I’m trying to take a photo! 4. 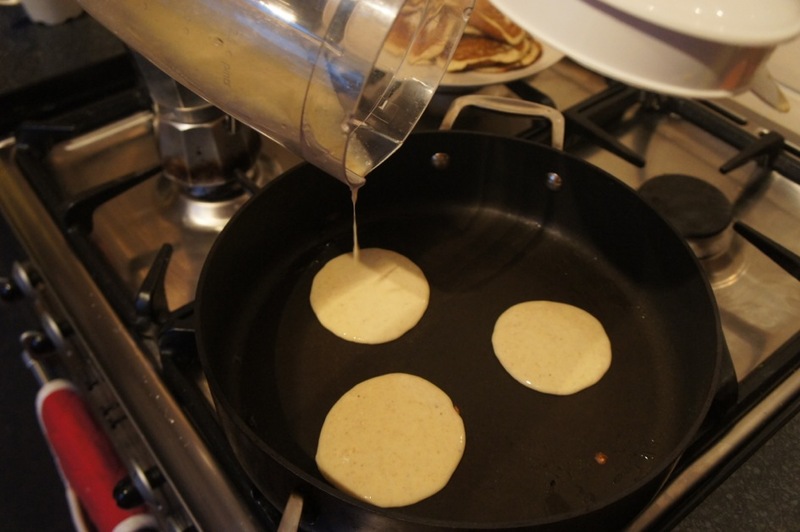 Flip your pancakes. When it’s starting to make little bubbles in the top, that’s when I know they are ready to turn. Yours might not do that though so just flip after a minute or 2! 5. 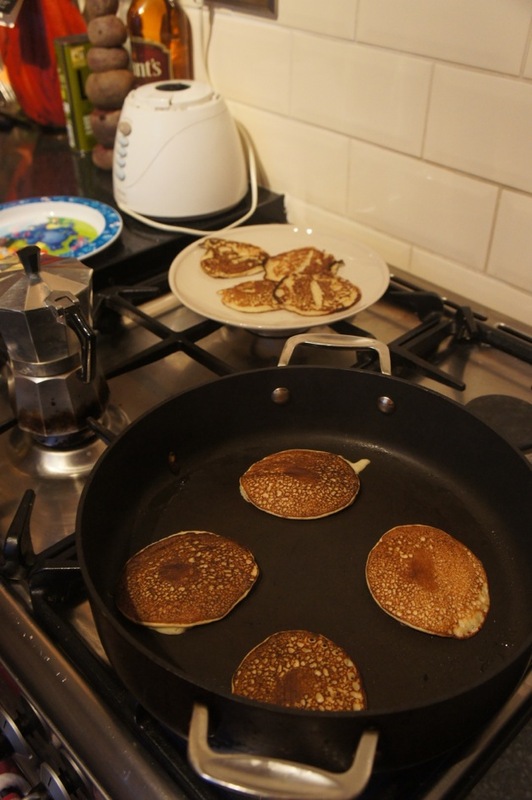 Move pancakes to a plate (I find a pile is best as this keeps the first ones warm! ), Continue adding your mix until it’s all gone. Meanwhile remove toddler from cupboard, oh and don’t forget to put the coffee on. You’ll probably find the second lot are better than the first, I always do! 6. Pour coffee and put everything on the table! 7. Have a poke and a play, then EAT! Reuben has his plain and I put a bit of cinnemon butter on mine – sounds super naughty but it’s in my Clean & Lean Diet! Verdict on the easy pancake recipe? Delicious! Cinnamon butter is – 50g unsalted butter (leave it out for a bit so it’s beatable! ), 1 tbsp manuka honey, 1/2 tsp cinnamon – beat together and refrigerate to set. Amazing on rye bread too. For an even easier easy pancake recipe, you could always try this 2 ingredient pancake; 2 eggs, 1 banana… a glorified banana omlet, but still delicious! 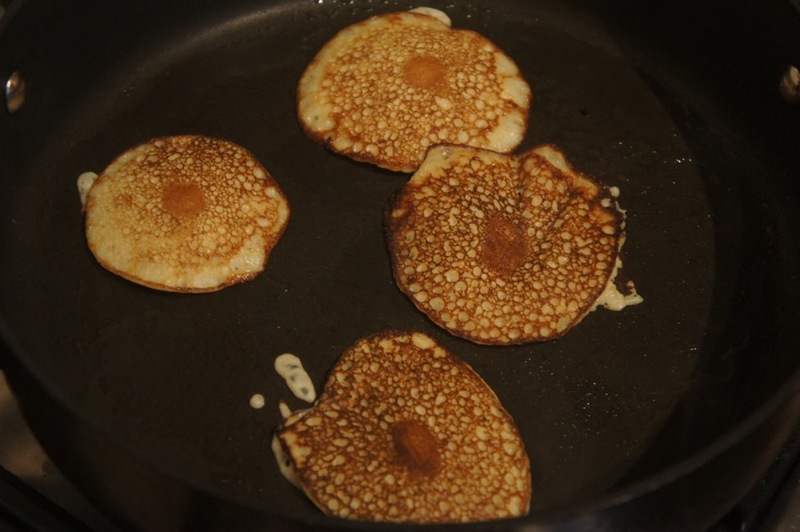 What do you think of my easy pancake recipe? This sounds quite interesting – oats to make pancakes? I shall give it a bash! 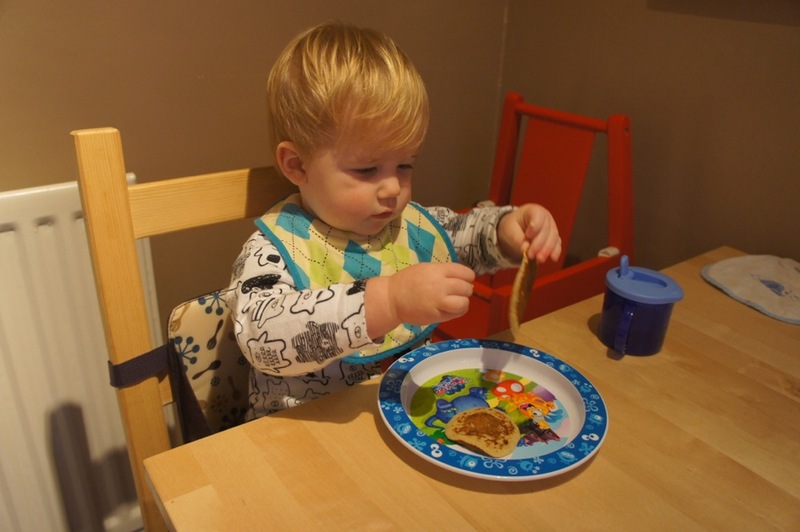 We tried these pancakes for breakfast today, they are fantastic and my 16 month old son couldn’t get enough. Would it be ok to do a post about these on my blog, full credit to yourself of course. 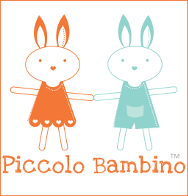 Were new to the blogging world so theres not much to read yet lol. Shhh but I just made these for a speedy tea…huge hit all round! Thank you! Should I cook up to eat the next morning or leave batter to make fresh next morning? hi love, glad you like! I cover and pop the batter in the fridge then add a little more milk in the morning when I’m ready to use it. I guess it goes a little brown but nothing to write home about and you can’t tell once it’s cooked! You can also make up the pancakes, keep in a sealed container in the fridge (or even the freezer) and reheat in your frying pan. I don’t like them as much that way but it’s sure a time saver! Just made these for my 12-month-old. Took me under 10 minutes from the first ingredient to his first bite! They’re delicious!! Thanks for an easy breakfast (or lunch or dinner) idea. I just made these right now for my 13 month old and I am so happy because this was so easy and it’s very delicious and nutritious! Looks easy. Definitely going to try. Can I make them without bananas?? Don’t have any at home and can’t get to the store before my preschooler leaves for school in the morning. I made these for my one year old and added a tablespoon of cooked quinoa to the batter and they turned out great. The whole family loved them. I had some better left over and it kept well until the next day. Thanks for the recipe! These look great. 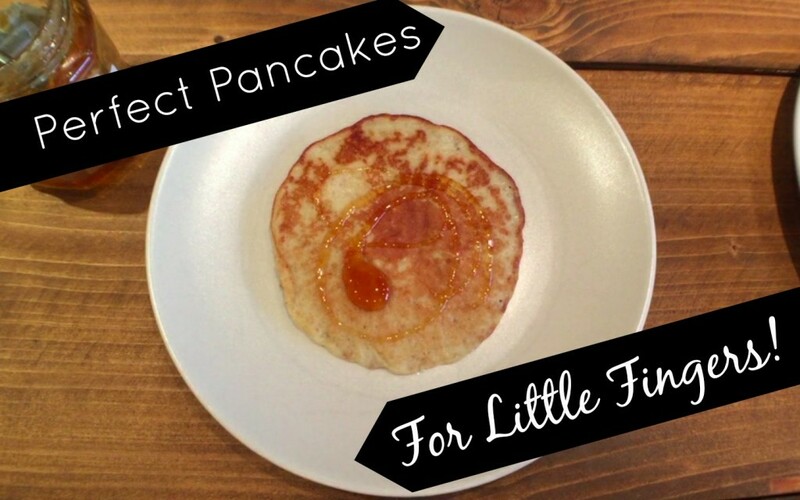 We love pancakes in our house too but I don’t make them with oats very often so will have to try this recipe.